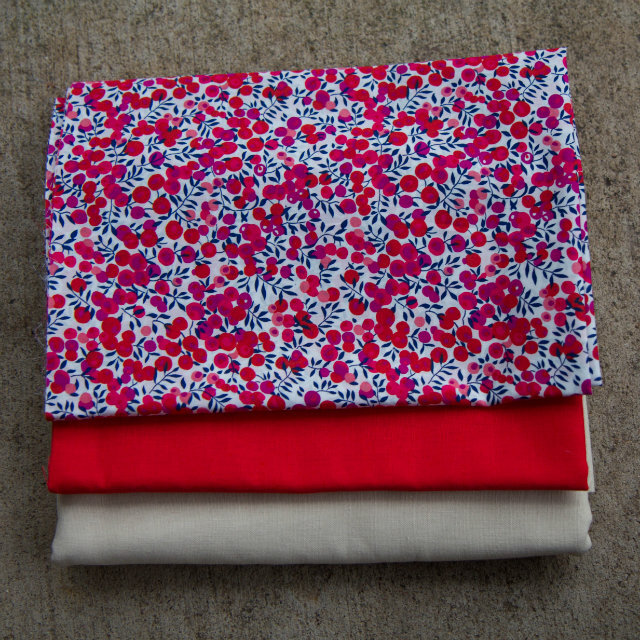 Mostly I was inspired by this beautiful Liberty of London fabric! I’d been wanting some for so long, so I finally went for it and ordered a quarter of a yard from Purl Soho (at the time of this post it looks like their website is under maintenance). Also pictured is Robert Kaufman’s Essex Linen line in Ruby and Sand. My finished pillows are 18×18 inches, so I cut out an 18 1/2 inch square in the lighter fabric for the front of the pillow. The extra half inch is to allow for a quarter inch seam allowance all the way around. For the back, I chose to do an envelope closure, and cut out 2 pieces to overlap and still equal 18 1/2 inches squared. 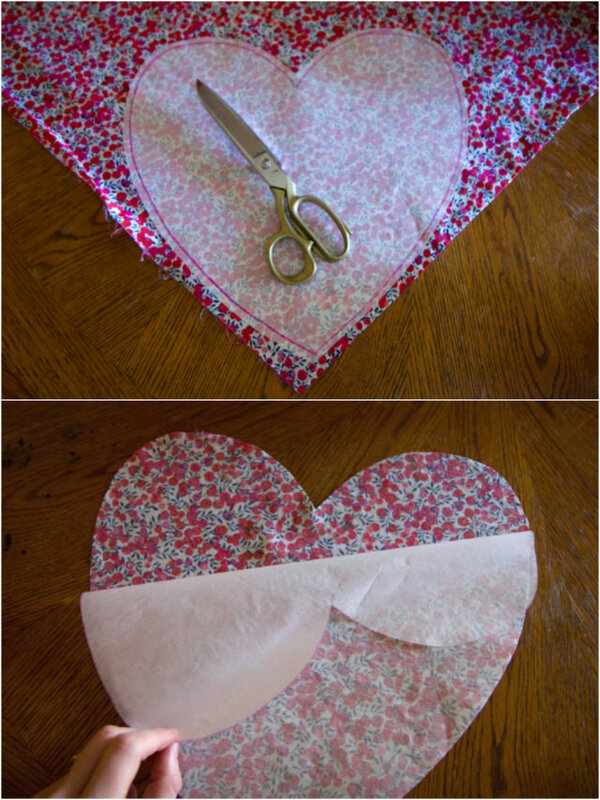 Read more about how to make an envelope closure here. I learned two new sewing skills for this project – the instructions and supplies are included below in two separate tutorials. 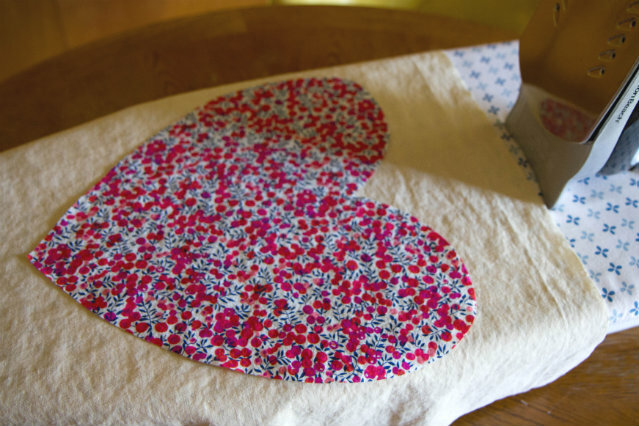 fusible interfacing – can be bought by the yard at craft and fabric stores. The brand I used was Pellon #805 Wonder-Under. 1. Decide on a shape, draw it on paper, then cut it out. 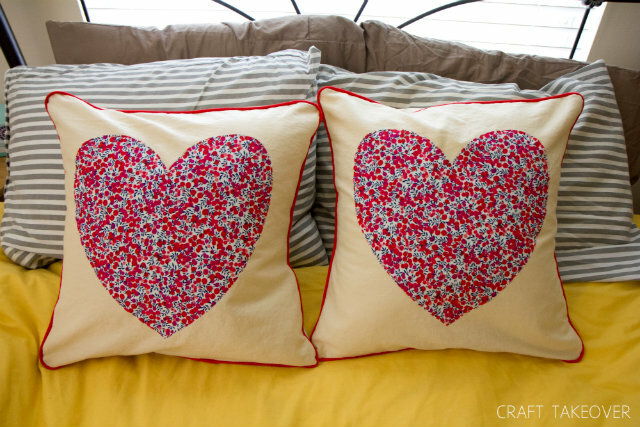 Lay the shape out on your pillow top to make sure you like the size and placement. Note: If you are making letters, numbers, etc., you need to draw these facing the opposite direction. Otherwise, your shape will turn out backwards and that’s never fun! 2. 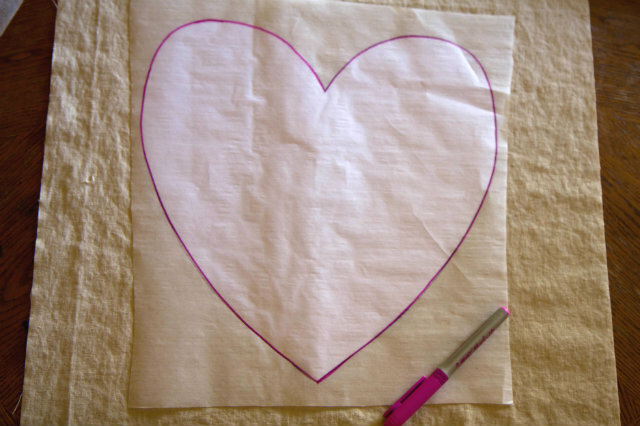 Trace the shape you made onto the parchment paper-like side of the fusible interfacing. The other side has the adhesive, so be careful to write on the correct side during this step. After drawing your shape, cut it out a little bit outside of the line you made. See the photo in step 3 for an example. 3. Next, on the back side of the fabric (mine was the same on both sides) iron the shape, adhesive side down. Note: Different fusible interfacing brands may have different instructions, so please adjust accordingly! 4. 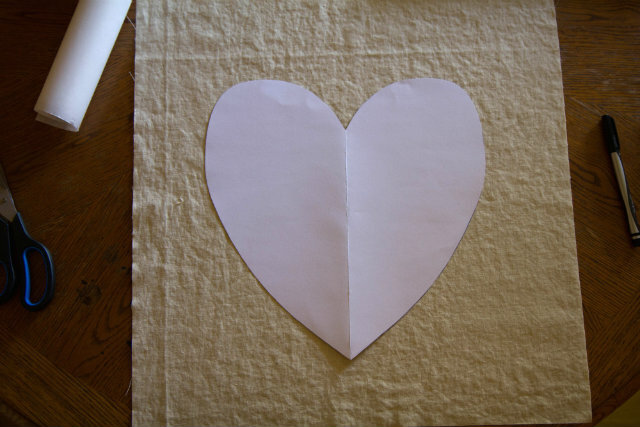 Cut out the shape on the lines you drew, then peel off the paper. The adhesive will be left behind on the back of the shape. 6. 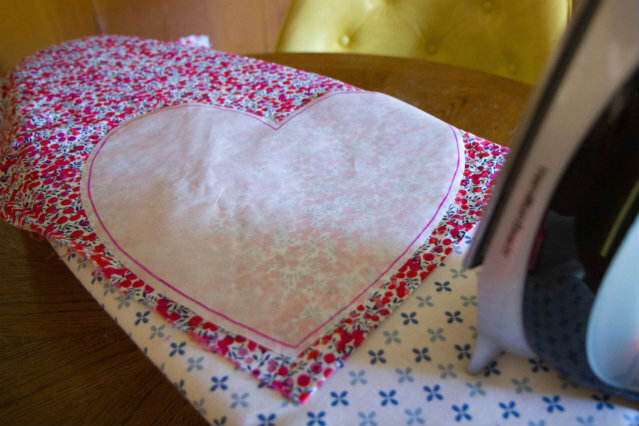 Iron the shape onto the square pillow cover, with the adhesive side down. 7. Sew along the edges for extra security. You could use a decorative stitch here, like a zig-zag. I kept it simple with a small straight stitch. 1. Do some calculations. 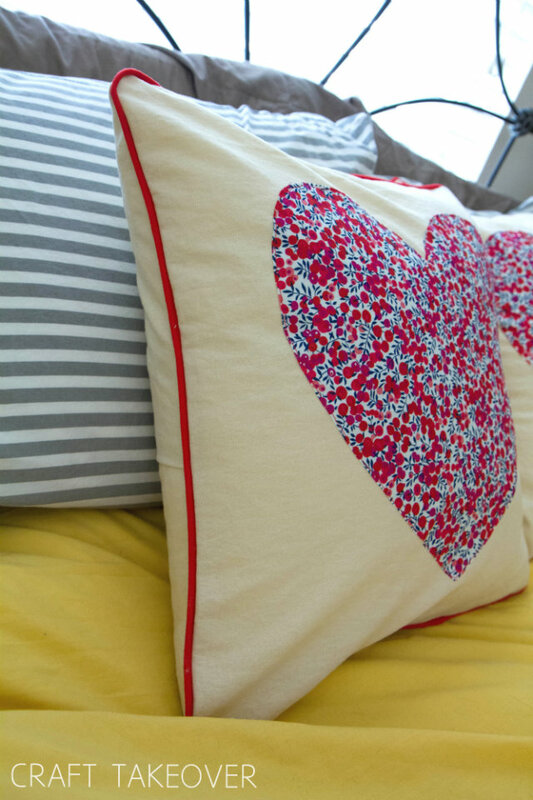 Measure all the way around the outside of your pillow fabric, and add 4 inches. So in this case, (18.5 x 4) + 4 = 78 inches. That’s how long the cord and fabric strips need to be. To calculate the width of the fabric, measure the cord you’re using and add your seam allowance times 2. So in this case (1/4 inch x 2) + (3.2mm which is about 1/8 inch x 2) = 1 inch. So I need a one inch strip of fabric that is 78 inches long. Whew. 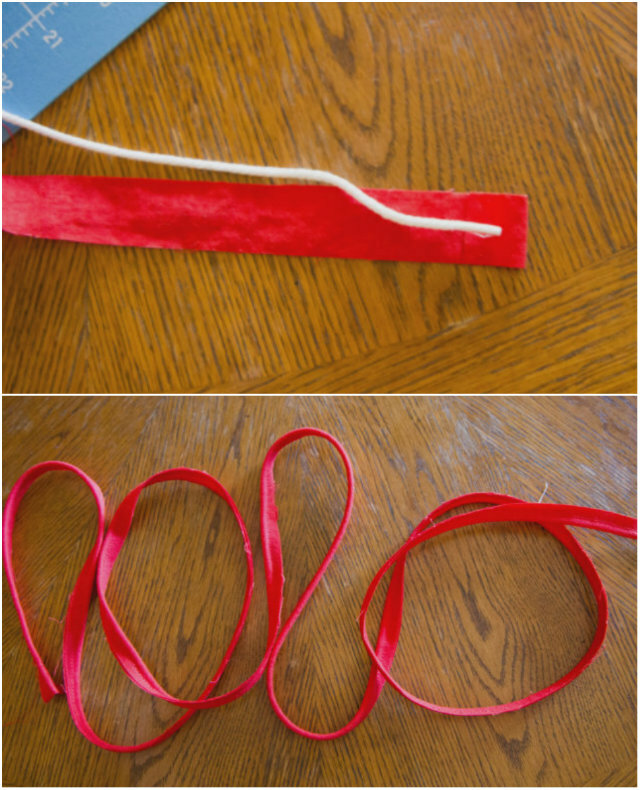 Attach strips of fabric using this technique to make one long strip. 2. 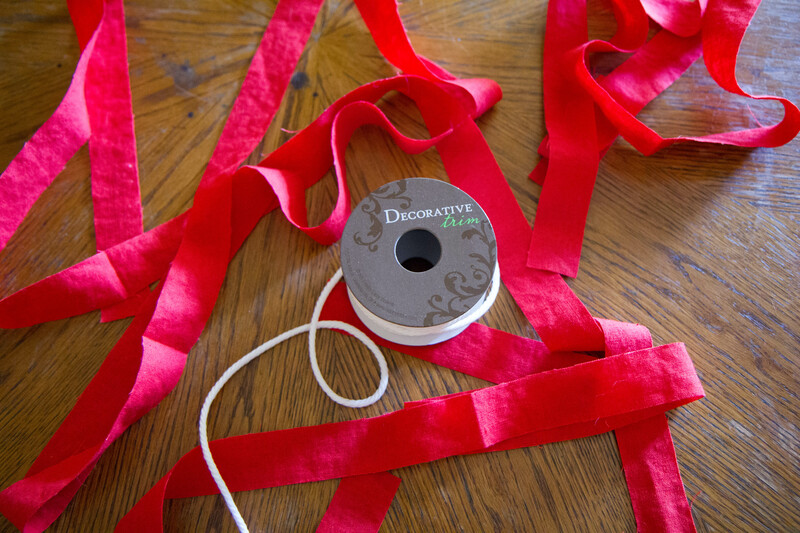 Fold the end of the fabric strip down about an inch and place the cord in the middle. Leave a little extra room at the end before starting the cord. Make sure you’ve got your zipper foot on your sewing machine and sew (starting where the cord starts) right against the cord with the fabric folded over the top. 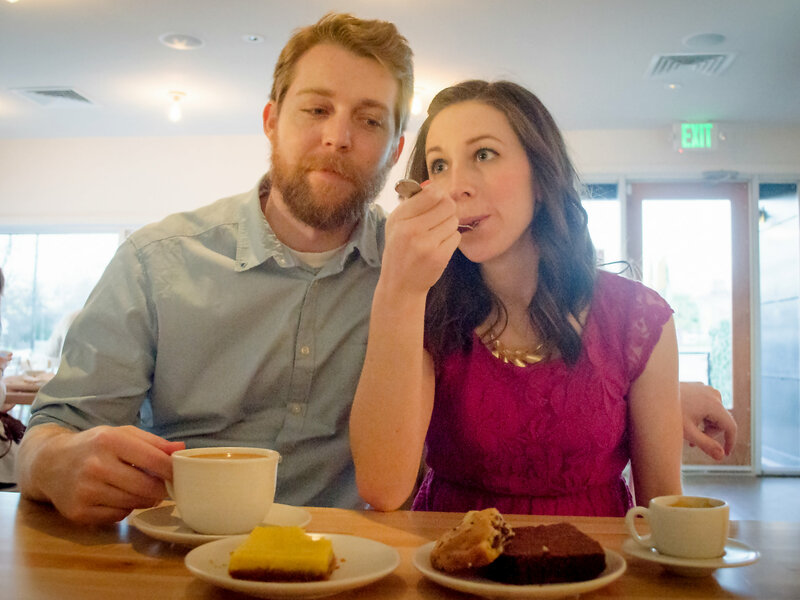 You can pin it, or just hold it together and feed it through slowly. 3. 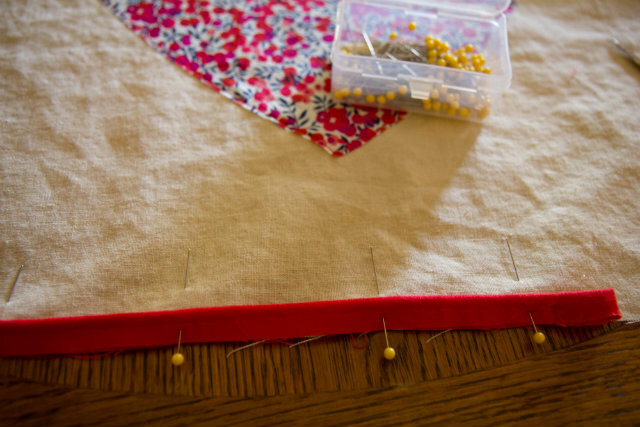 Starting at the bottom, pin the piping, matching the edge of the piping with the edge of the pillow fabric. The front of the pillow faces up. 4. When you get to a corner, make tiny cuts to help it lay smoothly, and continue to pin down until you’ve made it all the way around. Leave the end loose as shown. We will attach the two ends together in the next step. 5. 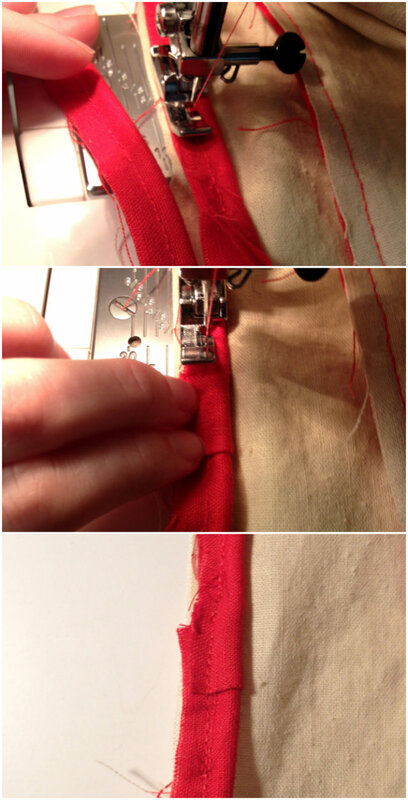 Again using the zipper foot on your sewing machine, sew right along the edge of the cord. 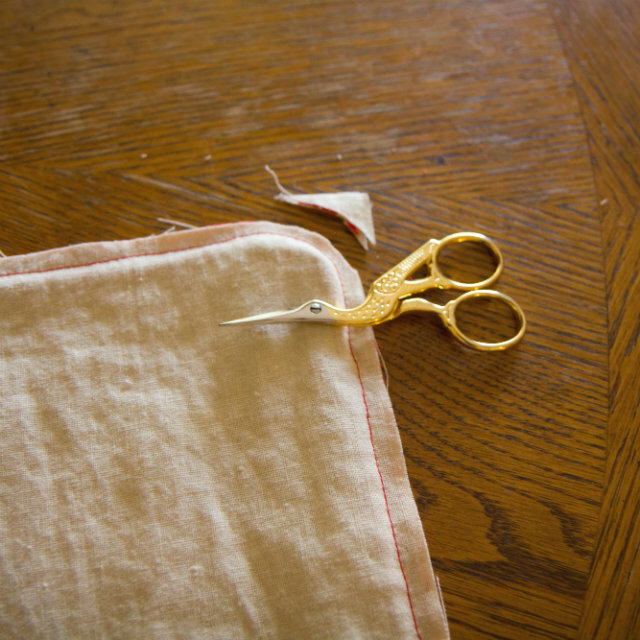 When it is time to attach the two ends, cut off the excess length so the ends match up, place under the fold you created when you made the piping, and sew over the top. 6. 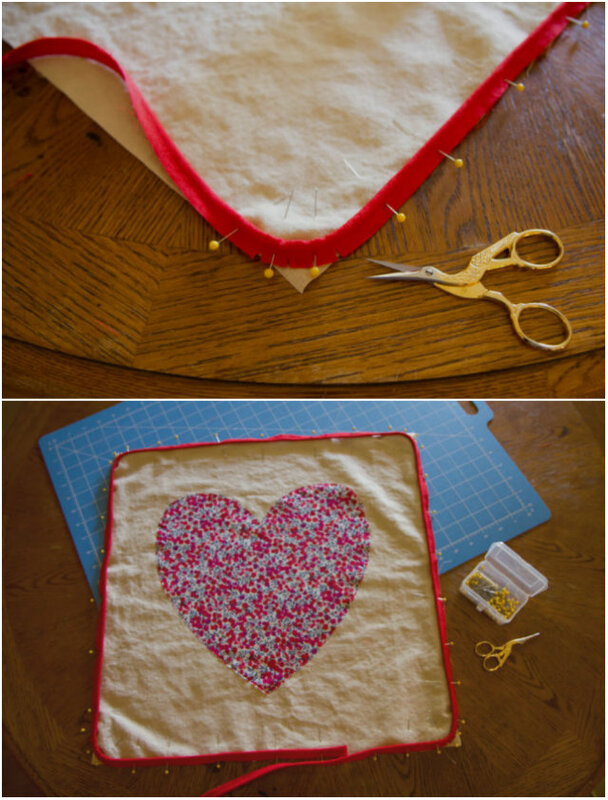 Take the two sides of the pillow and pin together, with the outsides facing in. 7. Sew around the edges, right along the line you made earlier. 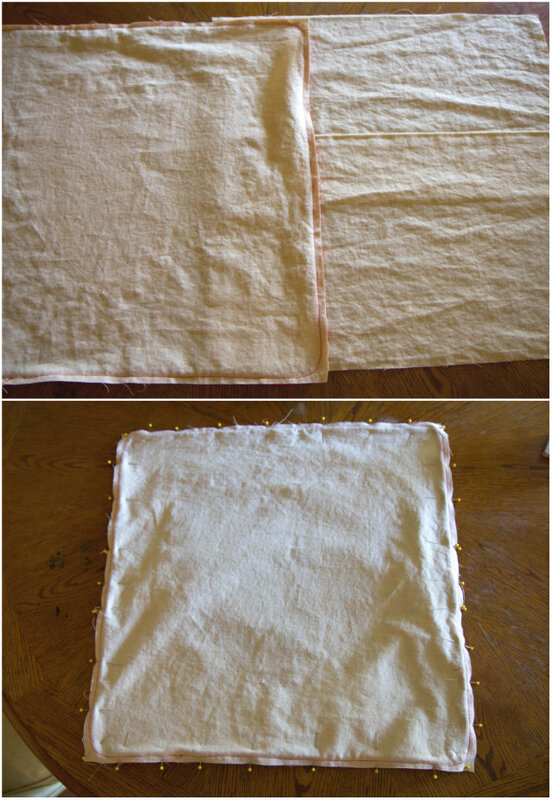 Cut off the excess fabric around the corners, and turn it inside out. Then you’re finished! 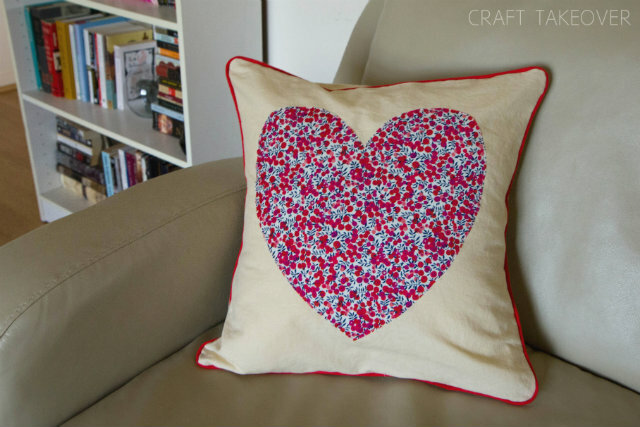 Put your new heart pillow case on a pillow form and enjoy. I ended up making two because I thought they were so pretty. One for me and one for my Valentine! I can’t get over the piping, the extra effort was definitely worth it! P.S. Anyone have any other ideas for fusible interfacing? Now that I’ve tried it, I can’t wait to use the leftovers for another fun project!